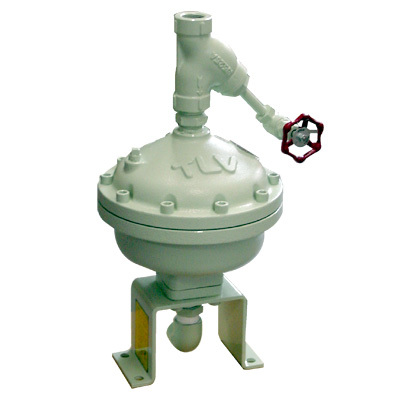 Air traps for high viscosity condensate, with large valve seat and self-cleaning function. Always check the specification PDFs for the exact product specification available in your region. Large size orifice smoothly discharges any entrained oil, rust and scale together with the condensate. Self-cleaning of the trap interior during each condensate discharge keeps the orifice free of any obstructing build-up. Discharge of condensate with entrained oil, rust and scale from air lines.